Texas is growing! Several of the fastest growing US cities are in Texas, as many people move into the state from elsewhere in the United States and around the world. We have a lot of land and lots of family-friendly cities to choose from. And, we have the second highest birth rate (adjusted by population) next to Utah. So, whether you are adding a family member or selling your house, moving into a smaller home or just decluttering a room, Store Space is here to be your partner in secure storage that is convenient and has low, honest, and fair rates. Our top-notch security systems—including digital surveillance and computer access gate codes— give you total confidence in the safety of your personal belongings, and our trained storage professionals ensure you receive the best customer care. Just like our folks, Texas weather varies widely. Places such as Dallas and Glenn Heights boast mild winters and hot summers, while coastal cities like Beaumont, Houston, Sugar Land and Humble are humid and subject to the moisture that flows inland off the Gulf of Mexico. Store Space protects your property with climate-controlled units, and ensures you have access to your storage unit 7 days a week. Our offices are open Monday through Saturday as well. On-site managers will be sure to take care of you with a smile, and our call center se habla Español. Let us help maximize your space. Whether you’re at home or at your business, we are here to help you! 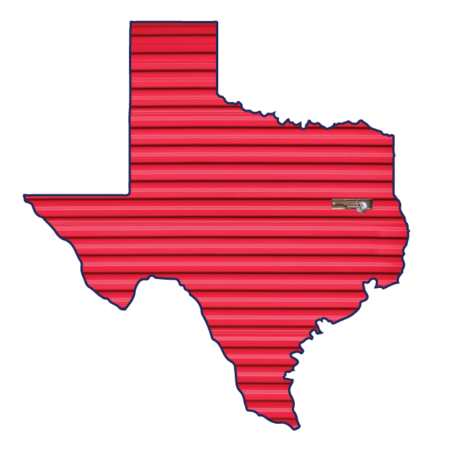 Texas is home to several colleges and universities, and our low rates are perfect for students. Self storage is perfect for gap years, semesters abroad and summer storage. We also support our military troops and their families, offering convenient month-to-month leases that accommodate the quick timelines and high travel volume associated with the military. We’ve made making an online reservation as easy as the click of a mouse, no security deposits or credit cards required. You can count on low out-of-pocket costs and competitive move-in discounts. A wide variety of payment options are available, so you can maintain your storage whether you are in town or traveling, and our front offices have a variety of boxes and packing supplies for your convenience. Store Space located in Beaumont at 260 I-10 Frontage Rd, Beaumont TX 77707 - Beaumont Store Space is conveniently located where I-10 crosses over the railroad tracks, just behind Chili's Bar and Grill. We have some of the largest outdoor vehicle storage with spaces up to 40’ long and drive-up storage units as well. Store Space located in Dallas at 3316 Hansboro Avenue , Dallas, TX 75233 - Our Oak Cliff facility easily located - just west of the Oak Cliff Nature Preserve next to the Iglesia Jesucristo es mi Refugio church. We can also accommodate vehicle storage, with spaces up to 30’ we are happy to help store your motorhome, boat or additional vehicles. Store Space located in Glenn Heights at 1713 S. Hampton Rd., Glenn Heights, TX 75154 - Store Space in Glenn Heights is west of the City Park, by the Shell station and the Family Dollar store. Our outdoor vehicle storage spaces range in size up to 20’. We keep our location clean and well-lit and have our manager on-site to help answer any questions. Store Space located in Humble at 8569 E. North Belt Dr., Humble, TX 77396 - Store Space in Humble is just past the Walmart Superstore on East North Belt, near North Sam Houston Tollway East. If you hit the Valero gas station while heading west on East North Belt, you have gone too far. We offer climate-controlled indoor storage as well as outdoor storage and ground-floor drive-ups. Store Space located in Sugar Land at 4815 L J Parkway Sugar Land, TX 77479 - Our Sugar Land facility is north of University Boulevard on the corner of LJ Parkway and Oilsfield. Newly built, we have a beautiful front office with gourmet coffee and premium amenities available for your comfort.